Brooklyn, NY – Prior to today’s Tidal X: 2010 concert, which is sponsored by HTC, the Taiwanese company unveiled its latest smartphone in the HTC One A9. The new HTC phone, which will be fitted with a 5-inch, edge to edge, 2.5D Corning Gorilla Glass 4 Full HD AMOLED screen, will be the first non-Nexus Android powered phone to come out of the box with Android Marshmallow and of course with the company’s own software suite, HTC Sense, which will again come with HTC Themes to allow customization of your HTC Phone. HTC mentioned during the reveal that there are currently 23 000 Themes available and if you can’t find one you like, you can always use their simple Theme Maker web tool to create your own. With Android Marshmallow, right away users of the A9 can use Android Pay ad Google’s Now on Tap, which will give you contextual information on what’s on your screen in that very moment. What's more is that HTC is promising that whenever a new Android update gets released, it will make it's way to your phone within 15 days! HTC is promising a strong battery life with its 2150 mAh battery that comes equipped with Quick Charge 2.0 support and will be compatible with Quick Charge 3.0 with a future software upgrade. HTC’s website is touting the battery life at 12 hours for HD video playback, 60 hours on Audio playback, Internet Usage on Wi-Fi at 9 hours, Talk time on 3G network at 16 hours and Standby time on 3G network at up to 18 days. 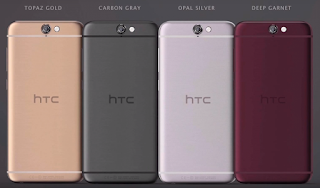 Another impressive spec that should make lots of people happy, since it’s a feature quite a few flagships are opting to remove, is that the HTC One A9 will allow it’s standard 16GB/32GB storage to expand to up to 2TB on a micro SD Card. You read that correctly, 2TB. Now while the BoomSound stereo speakers familiar to HTC fans have been removed in favor of a fingerprint scanner, HTC is still promising high quality sound. To do this, HTC has packed their phone with HTC BoomSound integrated into the headset combined with Dolby Audio surround sound technology, delivering immersive and vibrant sound that matches a live experience. The A9 will also have a built in Digital to Analog Converter, which upgrade the audio to 24bit, 192 KHz quality and a powerful high-output headphone amplifier, which provides more power and dynamic range to your music. Last but not least, the Camera. 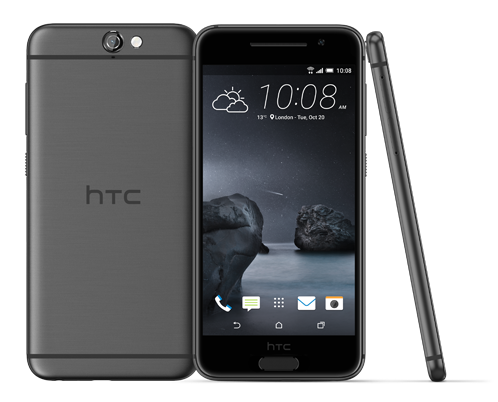 The HTC One A9 has a 13MP rear camera that features Optical Image Stabilization, which automatically minimizes shakes and corrects vibrations to give you crystal clear pictures every time. Its front Camera will be the usual HTC Ultrapixel camera. The phone will also offer RAW capture, allowing users the freedom an unmatched level of detail to edit their images after they’ve taken them. They also have the one-button enhancement feature for those quick pics. Also showcased in the reveal, HTC now has a hyperlapse editing tool, allowing users to speed up their videos to 12 times faster for a dramatic time-lapse effect. There is also HTC Zoe which allows users to easily edit their best shots videos into one professional-looking highlight reel, for those who love making montages. 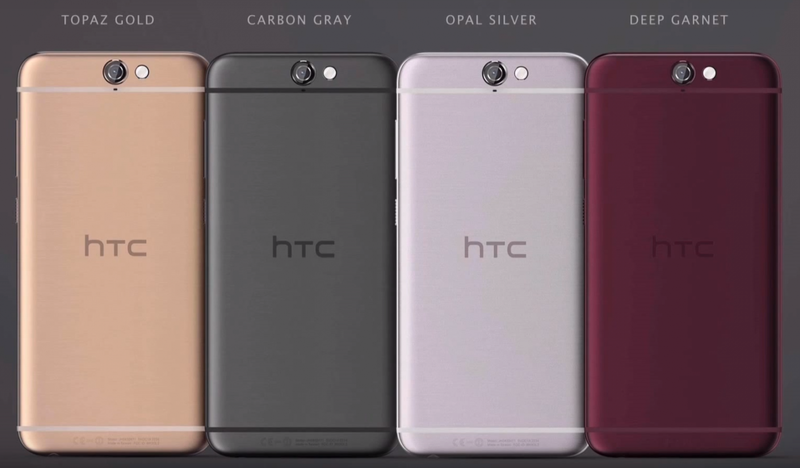 The HTC One A9 is slated to be released in Canada sometime in November and will be priced at $549.99 CAD and will be available in Carbon Gray, Opal Silver, Deep Garnet and Topaz Gold. Memory 32GB ROM / 3GB RAM; Extended memory: microSD™ up to 2TB Extended memory limited to available microSD card size.